What will be the center of your life? There are a lot of options. You can center your life around a career, a sport, a hobby, making money, or having fun. 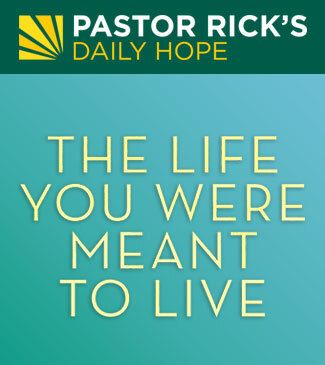 In this message, Pastor Rick shares the one thing you can put at the center of your life that will never change and is strong enough to sustain you through life.